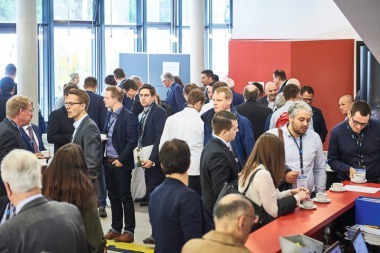 The second international conference “Mines of the Future” will be held from 13 to 14 June 2019 at PPS Lecture Hall Building in Aachen/Germany. The online registration as well as the abstract submission are available now. The contribution of presenters is crucial to the success of the Symposium and the organization team invites authors to submit abstracts (up to 1800 characters) for consideration for an oral- or poster presentation in the conference program. Abstracts are to be submitted electronically via the abstract portal (https://secure.weidelt.de/winabstract/rwth/aims2019/). Here, all interested can further find information on the abstract submission guidelines as well as on terms and conditions. Upon completion of the conference, authors have the opportunity to submit their work for publication in a special issue of the internationally refereed journal “Minerals” (ISSN 2075-163X, Impact Factor 1.835 in 2017, http://www.mdpi.com/journal/minerals). For further information, please visit the website at www.aims.rwth-aachen.de or contact the organization team at or at +49-241-80 95673.